– We propose to put your collection of tickets in “Comment column” to make clear who comes with the given tickets. It will make the entrance easier. The limestone soil of Burgundy gives a unique minerality for the wine; as if we tasted the terroir! It is very exciting to compare the wines made of grapes (Chardonnay in Chablis) coming from parcels of different soils like a mosaic. The master class is presented by the owner herself, Madame Laroche! We have several tutored tastings in the topic of French wines, but this one is a special one, because on can taste wines from many parts of wonderful France. 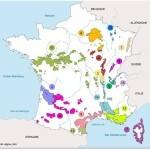 One producer from Champagne, 6 from Rhône, one from Bandol and one from Languedoc will show their wines and wine regions. Did you know about the great contribution of the Hungarian Haraszthy Ágoston in making the Californian wine world famous? 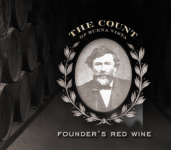 Mr. Haraszthy had founded the Buena Vista Vinicultural Society and now you will have the opportunity to taste a wine from the winery. The heir of this establishment Ms. Gina Gallo has a prestige winery now and they present a wine too (highly appreciated by Robert Parker and other wine magazines). The director of “God Father”, Mr. Coppola will also show a Cabernet Sauvignon. And do not think that California is famous exclusively of its grand and heavy clarets! A Chardonnay from Speaker Family Winery and a Pinot Noir from Buena Vista and Gina Gallo will show you the less known but superbly elegant wines of California! Estate and Fritz Wieninger, then you would probably have everything to either open an exquisite wine and delicatessen store or to expand an existing trade with superb Austrian produce. Generating from this simple idea, 5 of the most renowned representatives of Austrian wine- and gourmet culturegot together and offer from one spot the international trade an Austrian package which bears many comparisons. We are talking about 4 “Falstaff Winemakers of the Year” from 5 of the most interesting wine regions and Austria’s finest producer of distillates and vinegars. The cooperation’s goal for which the Premium Estates Marketing GmbH was established is to facilitate access to fine Austrian wines and spirits for the international trade and hereby shorten the ways from both sides. The focus lies on the development and expansion of the market in the new European Union countries as well as in the USA and the Asian Pacific region. At the same time, the customer service in the UK, Luxemburg, Belgium, Scandinavia and other countries should be intensified. Premium Estates of Austria is represented by Managing Director Andreas Wickhoff MW who coordinates all activities and acts as the central contact for ensuring a smooth service for the trade partners. 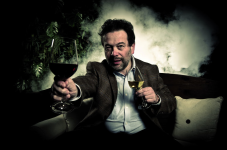 Andreas completed the rigorous Master of Wine examination in 2012 as Austria´s youngest Master of Wine. Negotiations are still on but we will surely stare agape as the famous master cook will be preparing his exciting dishes, and – of course – we are going to taste them with some excellent wines! Márkus György took part on the “Champagne and Sparkling World Wine Championship” last year too; on the event earmarked by Tom Stevenson. It has been recently announced that he will be member of the jury! 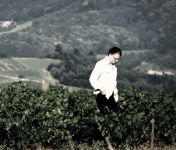 The name of Mr. Márkus is well-known in the French region and he has access to the most elite Champagne houses. He is visiting the vineyards and tasting Champagne even at this very moment… We can pick the best ones on this presentation. Six Champagnes from the first officially registered Champagne House and the cellar man; the “chef du cave” himself will present them. Ruinart puts great focus on sponsoring arts and also Chardonnay – as a grape variety – is very important for them. On this master class we will have the opportunity to taste the top of Chardonnay Champagnes from the vintage flight of Dom Ruinart – and a magnum bottled 1996 among them! The land of The Lord of the Rings is fabulous in terms of wine too. (It might not be known for everybody that the famous movie was taken here.) Our MW speaker worked and travelled a lot in New Zealand. She regularly publishes articles about the wines of the country because this remote land is close to her heart. The wine flight will be fantastic; we can taste even sparkling wine from New Zealand! Château Pontet-Canet – FULL HOUSE! Have you already tasted 11 Bordeaux clarets from grand crus? We have not either. Therefore, we are hardly looking forward to the meeting and tasting with the owner of Château Pontet-Canet, Ms. Melanie Tesseron. The tasted vintages: 2001, 2002, 2003, 2004, 2005, 2006, 2007, 2008, 2009, 2010 and 2011. What can urge a non-Hungarian winemaker to come to Hungary and open up a wine business here? It is most likely the terroir. The Wassman winery in Villány is managed by a German couple and they do organic farming. The Meinklang winery in Somló is managed by an Austrian family. The ultimate challenge – Do you recognize top wines? What is in the glass? A Château Palmer from Bordeaux? The icon Tignanello from Tuscany? Or the own brand of a hypermarket from the middle shelf? Try yourself – we promise it will not hurt. Moreover… All participants can blind taste 12 wines, meaning that they can see not even the label, the capsule or the shape of the bottle. We show the average of the scores given by the audience and the average score of the masters in the panel after each wine. You can see at once how your score relates to the judgment of experts and that of tasting partners. We hand out her/his scoring sheet to everybody! Alsace is the land of Riesling and Pinot Gris of very special character. Wine lovers love the high minerality of these wines. 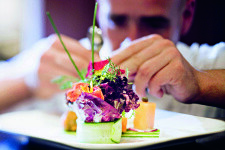 The owner of the young Loew estate presents a new aspect of Alsace. The tasting flight of 7 wines will be exciting because you can taste exquisite, single yard Rheinriesling but also Alsatian Muscat and Gewürtztraminer – to be drunk freshly – and these varieties are very popular in Hungary too. How would you like a Marathon of wine tasting with such names of winemakers like Dúzsi, Frittmann, Gere, Jásdi, Takler, Vesztergombi? This master class will surely take a bit longer than 90 minutes… Pannon Wine Guild collects the wine icons of Hungary; wineries that launched the new era of wine making after the change-over. Many of the members are “Winemaker of the Year” and it will definitely be a supreme tasting session. 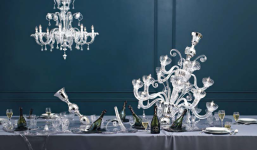 We are giving the floor not one but to ten Champagne Masters and sparkling experts! They all have one task; to show us something special! 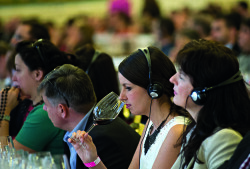 They will present Champagne, cava, Italian sparkling wine, crémant and – of course – Hungarian méthode traditionnelle. Essi Avellan MW, probably the highest appreciated Champagne expert woman of the world will be a member of the panel and she will present her favorite Champagne. We can also taste the best-in-town macaron supplied by Chez Dodo! 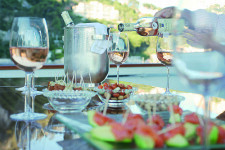 Louise Sydbeck MW sells wine for luxury yachts in Nice. She knows very well the favorite wines of some movie stars and tycoons. Now she will present a special side of Province which is much more than the vague, “commercial” rosés. She will talk about the more and more trendy premium rosé and she will present the most expensive rosé of the world. Beyond that, we can also taste white and red wines produced with great care, which convey the terroir of Province. The British are proud of the Kate and Wiilliam dream couple and of their soccer team but they have a new national treasury now; the British sparkling wine. 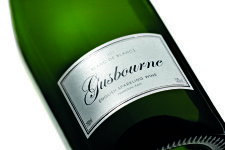 Gusbourne is one of the best sparkling wine wineries located in Kent. Documents about the winery are dated back to year 1410 but their debut with a sparkling wine was in 2010. 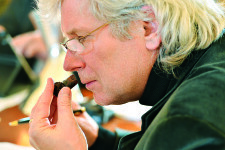 The tasting will be managed by the Master Craftsman, Charlie Holland himself. 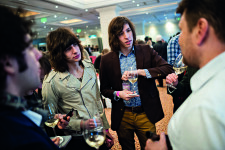 He was considered to be one of the most reputed young winemakers in year 2014. This grape variety has nothing to do with the Persian town of Shiraz. And yet, we can feel the exotic flavors of the spices of the fabulous orient. It is a special variety and now we will be able to scrutinize it. 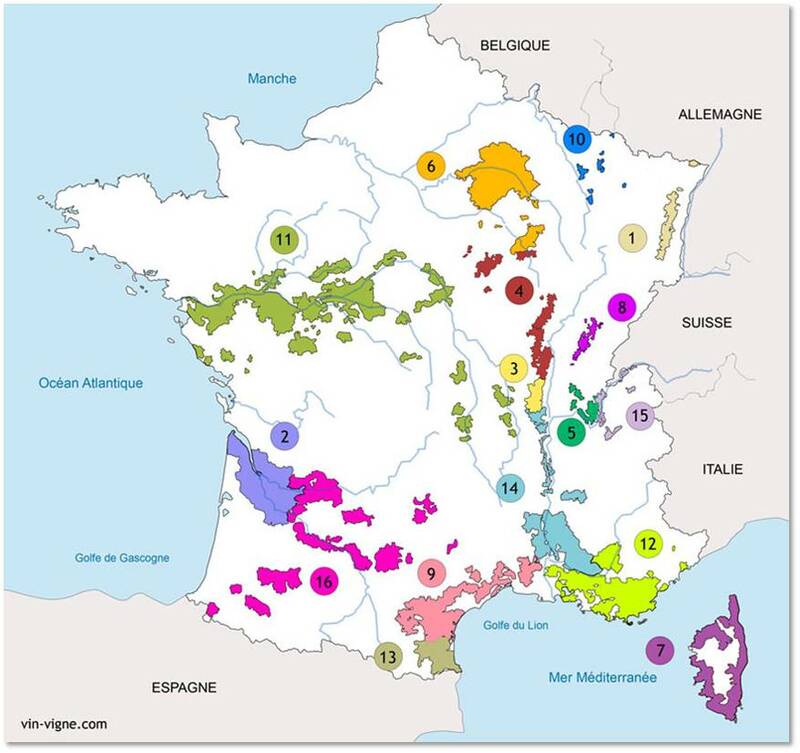 It is the top variety of Rhone valley so the most specific items are coming from there. Beaujolais is famous of its loud and fancy campaign for wine nouveau. However, the wine region’s potential is much more robust than the banana flavored wines. 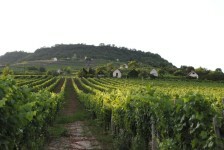 The major variety is Gamay taken by the Huns from Croatia to Burgundy in the ancient times. The Gamay wines are not only for fresh drinking, they have the potential for aging. Dominique Piron represents the 14. generation of winemakers starting with his ancestor born in 1590. 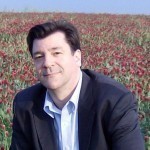 Dominique is an advocate of sustainable winegrowing; his wines are available in 30 countries by now. 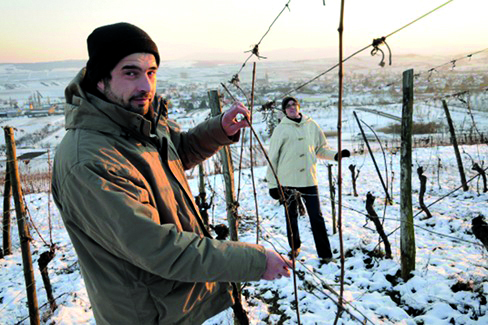 Beyond being a wine expert, Romsics László is also a father of two daughters; like Mészáros Gabriella and Németh Ágnes are also parents. Youngsters have strong influence on each-other… You do not want your child being offered by trash drinks, do you? It is much better if your offspring (of full age) “evangelizes” the quality wines among his/her friends. If you come with your married spouse and you have a child of age 18 – 22 send us a mail and we pay the ticket of the child! On the top of that you all three will get a ticket for the tasting party with special guests on the stage. 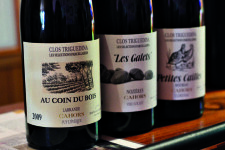 Cahors is famous of its full-bodied Malbec which is a curiosity and we could taste it in a smaller room last year. It was a common request to invite them again this year. The presentation is made by the representative of Vins de Cahors; the organization that coordinates the work in the wine region. Darrel Joseph, who specialises in the wines of Central and Eastern Europe, has gone even further afield to explore the little-known land of Azerbaijan. He visited the country recently and was impressed with how the wine revival there is beginning to take hold. Now you have a unique opportunity to discover wines of Azerbaijan in Darrel’s Master Class – along with some delicious foods from this exotic country. We can close the massive tasting of three days with some subtle Italian sparkling wine. 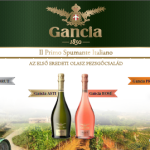 The brand manager of the Gancia House, Massimiliano Gancia will be our guide in our cruise among Italian sparkling wines.